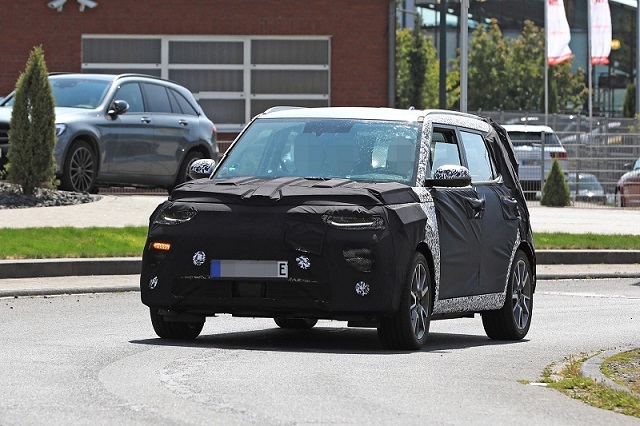 This is not the first testing prototype of the redesigned Kia Soul we’ve spotted during this year, but we haven’t seen this kind of the crossover so far. That’s because this is not the regular model. No, we are looking into the 2020 Kia Soul EV. The electrified Soul has been caught undergoing testing around the Nürburgring, and we know it the EV thanks to a big E on the license plate. 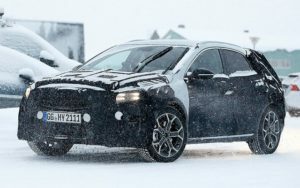 The EV successor is reportedly using an identical powertrain system as the Hyundai Kona Electric. Meaning, it uses an electric motor mated to a 64-kWh lithium-ion battery system. The output should also mirror the Hyundai’s new compact, so you can expect exactly 201 horsepower and 290 lb-ft of torque under the hood of the 2020 Kia Soul EV. By using the drivetrain, the crossover will definitely have a class-leading electric range of 258 miles (415 km). In case you’ve forgotten, the predecessor is the essentially worse vehicle. With its 30-kWh battery, an electric motor that delivers 109 hp, and 111 mile-range the crossover seems ridiculous, so let’s hope that the 2020 Soul EV is actually getting Kona’s powertrain. Styling-wise, well, the electric Soul will not differ overly from the regular model. The crossover will continue to exploit its distinctive boxy design and squared off front fascia, but with plenty of new details. 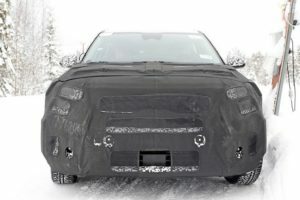 The camouflage likely hides a set of double headlights and a fully-blocked grille with the integrated charging port. Below, the model hosts a pair of LED fog lights without any doubt. The rear end differs more from the regular model because the crossover gets no exhaust tips, which is normal since we are talking about the electric Soul. 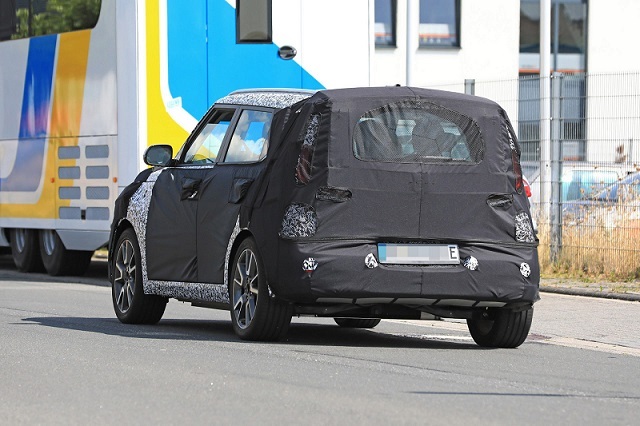 In addition, the camouflage hides the rear hatch at the moment, but we expect to be redesigned. It’s pretty much the same story with the taillights, which should be LED-treated, as well. The completely redesigned 2020 Kia Soul EV will be introduced sometime in 2019. If the crossover really gets the mighty powertrain like the Kona the price will have to go up.